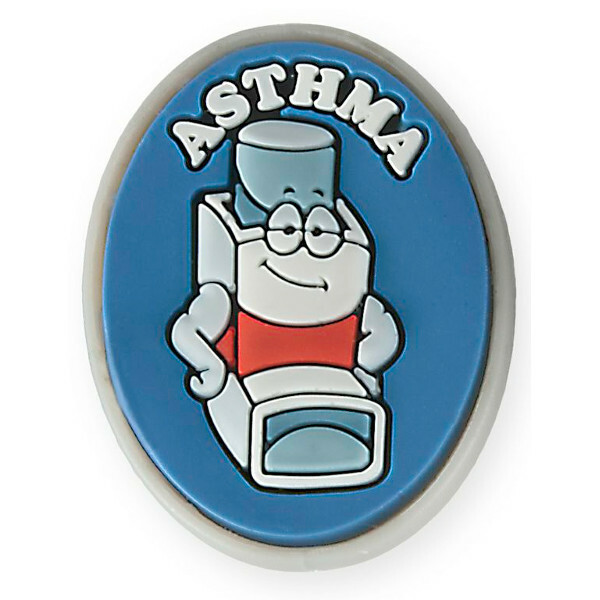 This Asthma Charm is perfect for letting other people know that your child suffers from Asthma. It snaps into the Multi Allergy Wristband. Up to 6 different characters can be added by pushing the flexible back through any hole in the band. 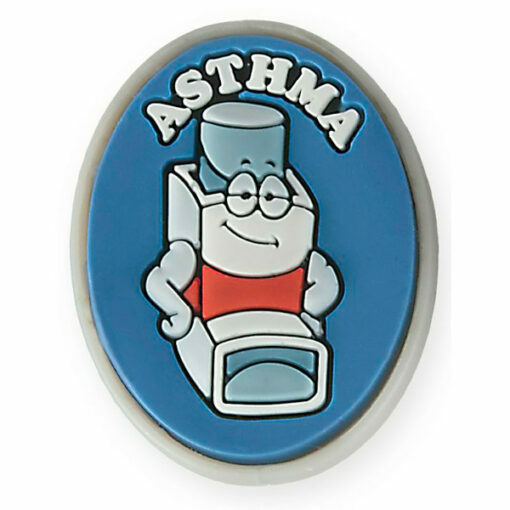 This asthma medical bracelet charm alerts others to your child’s asthma. This charm snaps into the Multi Allergy Wristband. 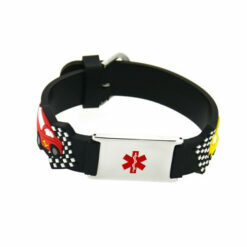 5 other charms also fit on the wristband, customisable to suit your child’s allergies. To add the charms to the wristband all you need to do is push the flexible back through any hole in the band. These are then secure and comfortable in place. 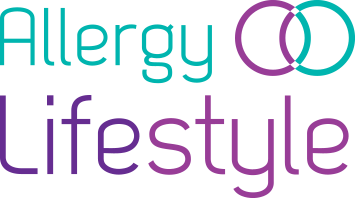 However, the charm(s) can also be removed if your child outgrows their allergy/health concern. – Charm measures 7/8th of an inch height (2 cm) and 1 1/5 cm (17 mm) wide. – Meets European & US Safety Standards. Not intended for children under 3 years of age!